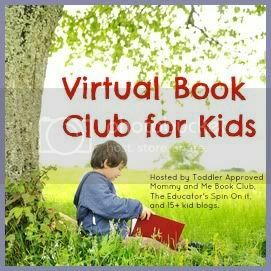 Welcome back to the Virtual book club for kids. 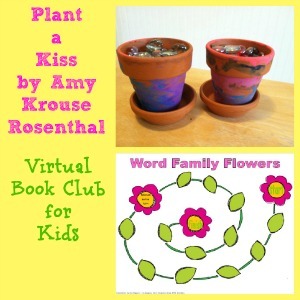 This month the Virtual Book Club is featuring books by Amy Krouse Rosenthal. Here at Ready. Set. Read, I am featuring the book, "Plant a Kiss". My boys have been loving this sweet story! Plant a Kiss by Amy Krouse Rosenthal is simply the story of Little Miss who literally planted a kiss. Crazy as it seemed, she waited in anticipation until the kiss sprouted and grew. Although her friends suggested she hoard the rare sprout, Little Miss decided to spread the love. She shared the fruit of her kiss all over, not worrying about running out. At the end of the story, she learned when you share love, it grows! This book provided the perfect opportunity to work on being kind and loving-- a skill that one member of our family is struggling with right now! 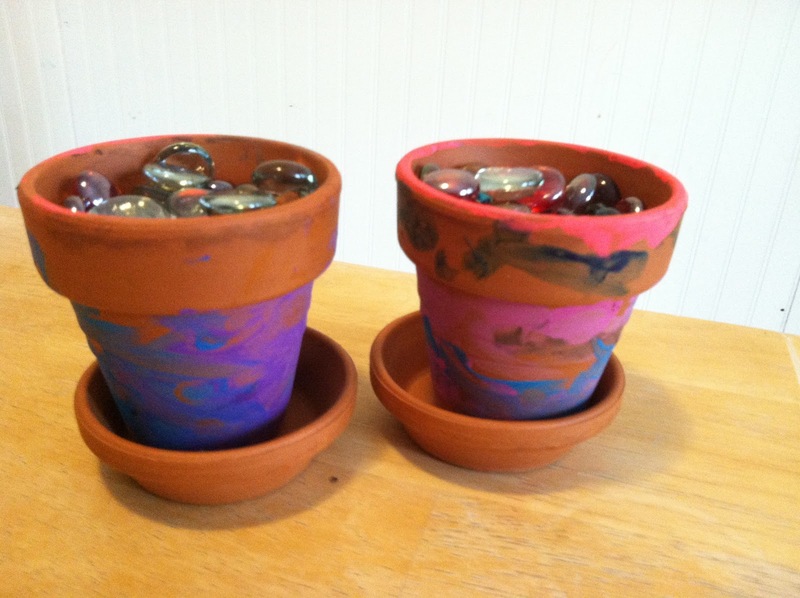 We painted flower pots and began to work on planting seeds of kindness. Whenever the boys were caught being good, I gave them a "seed" to put in their pots. We actually used glass gems. Rewarding the kind behaviors instead of focusing on the negative behaviors that have crept into our home lately, worked instantly. The boys were working together, sharing, and letting the love grow with in just a few days. The idea of planting seeds of kindness could be expanded into a kindness garden. Consider giving each person a circle and having them write their name on the circle. Flower petals could be cut out and children could write how they showed kindness on the flower petal. This could be an excellent writing activity. After creating the entire flower, children could expand this writing into a paragraph and even give a sentence to explain the results of showing kindness-- whether it made them feel good or improved a friendship with a classmate or a sibling, or had another result. It would be fun to reflect on how love grows as we share the love. The book features a minimalist rhyming text. The book has the feel of a wordless picture book. Much of the story is told through the wonderful illustrations by Peter Reynolds. The simple rhyming words or phrases on each page complement his illustrations perfectly. After reading this book, we listened for rhyming words. 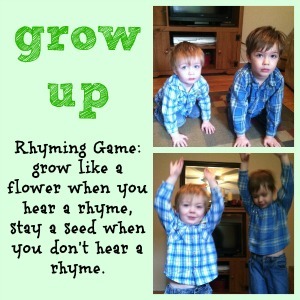 We played a rhyming game called, "Grow up". The boys squatted like tiny seeds. I said two words. If the words rhymed, they grew up like a flower. If the words did not rhyme, they stayed a tiny seed. There are several word families in this book. 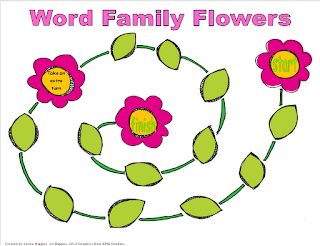 If you child is ready to begin decoding simple consonant-vowel-consonant words, check out my freebie, Word Family Flowers game. In this game, children must first read a CVC word with a long i vowel sound before moving each space. Love the idea of planting glass gems! Descriptive explanation of the book, differentiation for book activities, and connections to more blog posts for this author----what could be better? Oh, your great freebie! Thank you so much!